SEO stands for Search Engine Optimization. Broadly speaking, it is the process of making changes to your website’s code, structure, content, and overall web presence to make it easier for search engines like Google, Yahoo, and Bing to find, read, index, and rank your website. Overall user experience is known as one of the main driving factors to your rankings once all your technical SEO aspects are taken care of. There are thousands of techniques related to SEO, ranging from converting Flash and image files (which are currently difficult for search engines to read/interpret) to plain HTML files to creating reference content and encouraging other websites to link back to it. SEO works by making it easier for search engines to find your website, and recognize your site as both relevant and authoritative (given the search query). One of the number one complaints business owners have about SEO, and SEO companies, is the lack of clarity with respect to what work is actually being done for the fees charged. Mr and Mrs Leads has a proven SEO process that is both straightforward and transparent. One of the most common questions we get – particularly from small business owners – is, “what does SEO cost?” Mr. And Mrs. Leads SEO process starts with a website audit – an ongoing SEO campaign may or may not follow (ongoing SEO occurs approximately 85 percent of the time). Website audits are customized for individual businesses, so the prices vary, but the typical range is $1,500 – $3,500 (audits for larger “enterprise” websites can be considerably more). Ongoing SEO ranges from consulting to “do it for me” SEO services where Mr and Mrs Leads team acts like your own in-house SEO department (for a fraction of the cost of having your own SEO team). 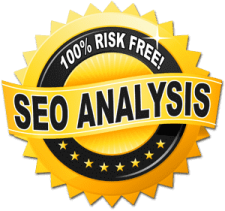 Ongoing SEO ranges from $1,000 per month on the low end to $10,000 (or more) per month on the high end. How Does Mr and Mrs Leads Track SEO Success? If you can’t measure it, you can’t manage it. You can’t win the game if you don’t know the score. Despite a million quotes which suggest that you can’t maximize your business success unless you track your results, most business owners and marketers are still not accurately tracking their advertising, marketing, website, or SEO. Most online marketing companies treat tracking and reporting as an after thought – the last step. At Mr and Mrs Leads, it’s the first step in every SEO engagement.